The building was built in 2002 on the site of an old Roman forum. The remains are still visible in the basement of a barber’s shop at the corner. There will be a total 26,000 sq ft of modern London office space available. The floor has been designed to include a beautiful breakout area within the building’s atrium, a grand reception and modern furnishings that are sure to impress. The offices are of the highest quality and attract a diverse range of industries from financial services to recruitment and ancillary services. Located on the corner of Fenchurch and Gracechurch street. 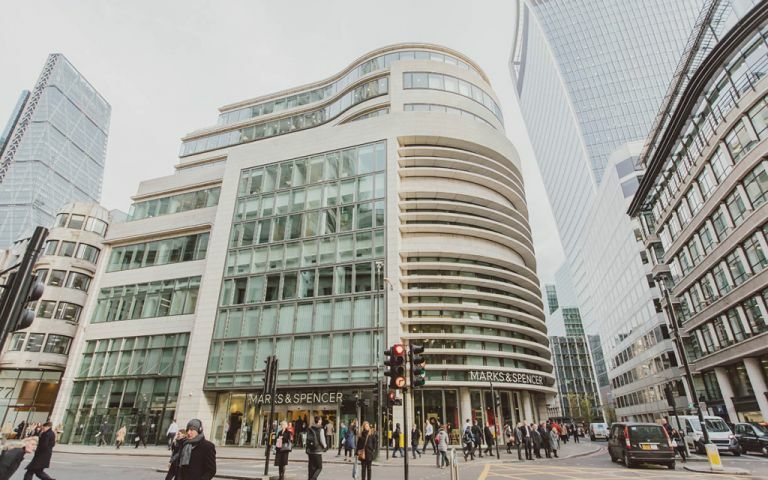 This exceptionally well connected location is in the heart of the insurance and financial district, is 5 minutes walk from Bank, Momument & Fenchurch Street stations and the vibrant Leadenhall market with plenty of restaurants and coffee bars nearby. Our London City serviced offices are available with the benefit of the exisiting fit-out which is of a high quality open plan layout including a number of meeting rooms and private offices.